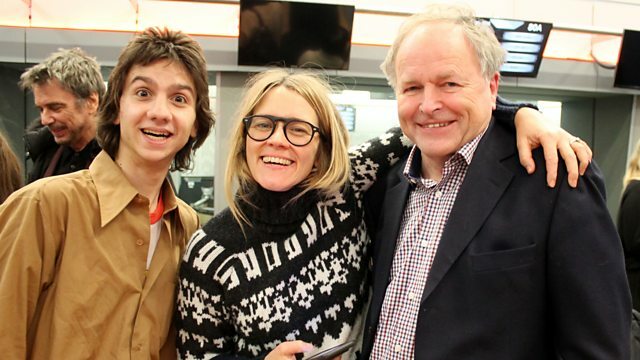 Clive Anderson and Emma Freud are joined by Jean-Michel Jarre, Paul O'Grady, Edith Bowman and Daisy-May Hudson for an eclectic mix of conversation, music and comedy. With music from The Lemon Twigs and Marker Starling. ‘Cinderella’ is at London’s Palladium from Saturday 10th December to Sunday 15th January. ‘Soundtracking with Edith Bowman’ is a weekly podcast available on Audioboom. ‘Half Way’ is in selected cinemas from 2nd December. ‘OXYGENE 3’ is available on 2nd December on Sony Music. ‘Do Hollywood’ is out now on 4AD. The Lemon Twigs are playing at District, Liverpool on Saturday 3rd, Nice N Sleazy, Glasgow on Sunday 4th and The Deaf Institute, Manchester on Monday 5th December. 'I'm Willing' is available on 9th December on Tin Angel Records.